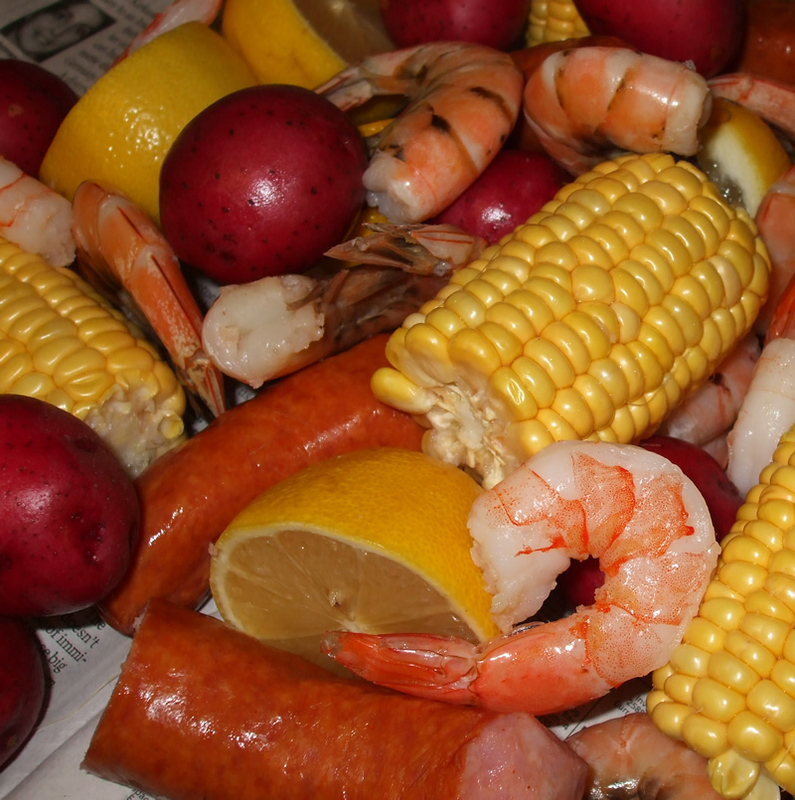 Frogmore Stew is the original name of what the island locals now call Lowcountry Boil. This dish has nothing to do with frogs! Frogmore is a rural community located on St. Helena Island between Beaufort and Hunting Island, an short hour’s journey from Hilton Head Island. 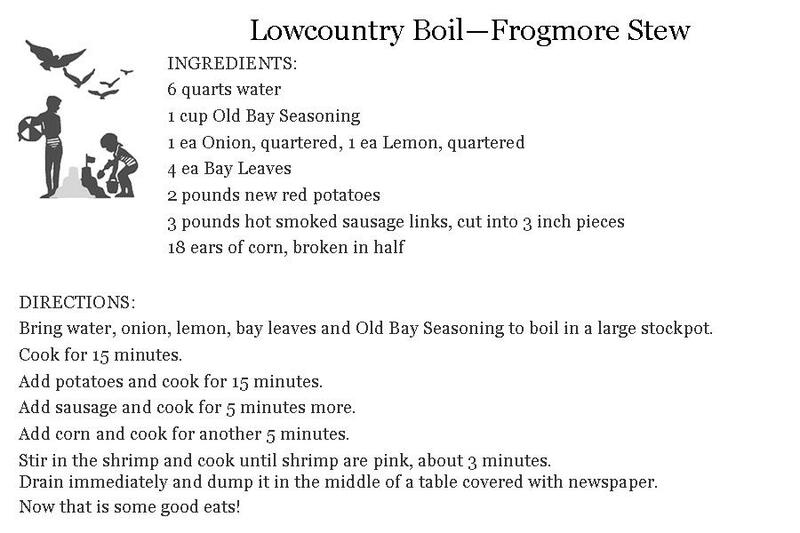 The name “Frogmore Stew” was coined in the 1960’s by Richard Gay, one of the owners of the Gay Fish Company, founded in 1948 on St. Helena Island and is still there and in business to this day. It was the backdrop for a few scenes in Forest Gump and in 2005 the Travel Channel featured Richard’s brother Charles preparing Frogmore Stew. The origins of the stew go back to the Gullah/Geechee peoples of the Sea Islands along the coasts of South Carolina and Georgia. Africans in the slave trade brought with them not only cooking influences from their homeland but Spanish and French influences as well. The secret to the distinctive flavor of the dish is the careful timing of the introduction of each ingredient into the seasoned broth. Ingredients usually consist of ears of fresh corn, small red potatoes, smoked sausage and shrimp, although blue crabs are sometimes added as well. You will find this dish offered at many local restaurants and oyster roasts. Easy to prepare and fun to eat, what a great dish to prepare for your family and friends while on your Hilton Head Island vacation! Marsh Tacky Horse Exhibition — Taste Some Premium Vodkas!